Place the arugula and cucumber in a large bowl and toss well with Snell House Lemon Dijon Dressing. Cut the grapes in half lengthwise and put aside. Cube the feta cheese if it is not already crumbled. Lightly toast the pecans by placing them in a non-stick frying pan on medium heat. Cook just until they begin to change colour without getting too dark. Remove the pan from the heat. Divide the salad between 4 plates. 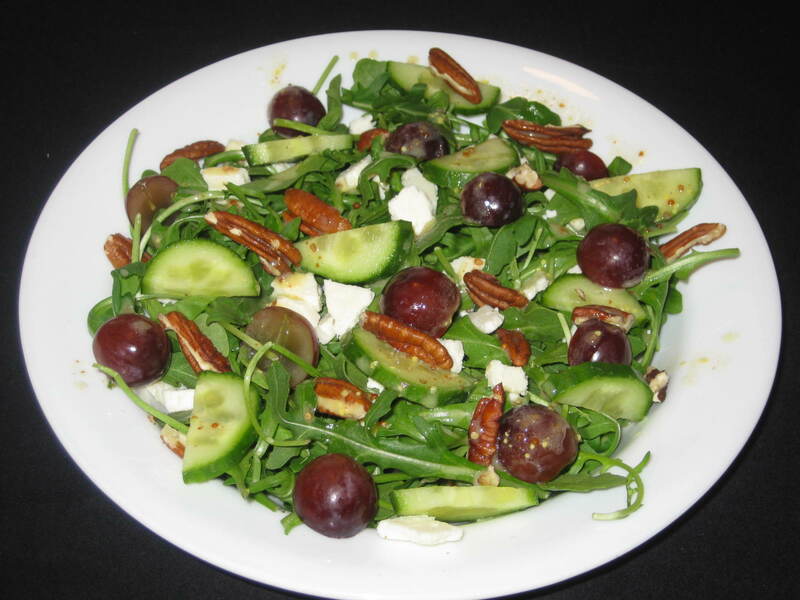 Top each salad with a forth of the pecans, grapes and feta. * We especially like the nutty flavour of baby arugula which complements the flavours in this dish especially well. Makes a great first course or a light lunch.